Located at Agra (Uttar Pradesh, India) at just 600 metres from the Taj Mahal, Amarvilas Resort, the Oberoi Group's luxury resort gives discerning travellers an opportunity to appreciate the fabulous monument while enjoying world-class luxury. 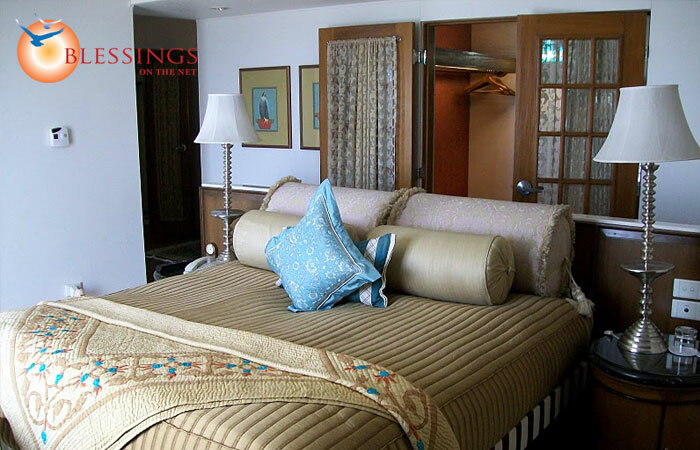 The hotel has been designed to give guests breathtaking views of the Taj Mahal from its guest rooms and suites. The lobby, bar and tea lounge also offer spectacular views of the world-famous monument. Elaborate gardens, terraced lawns and fountains, reflecting pools and pavilions complement the classic architecture of the hotel. 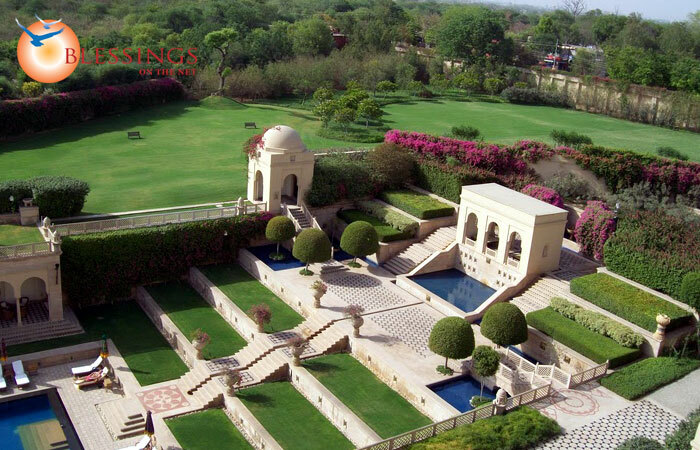 Location: The Oberoi Amarvilas is located close to the Taj Mahal. 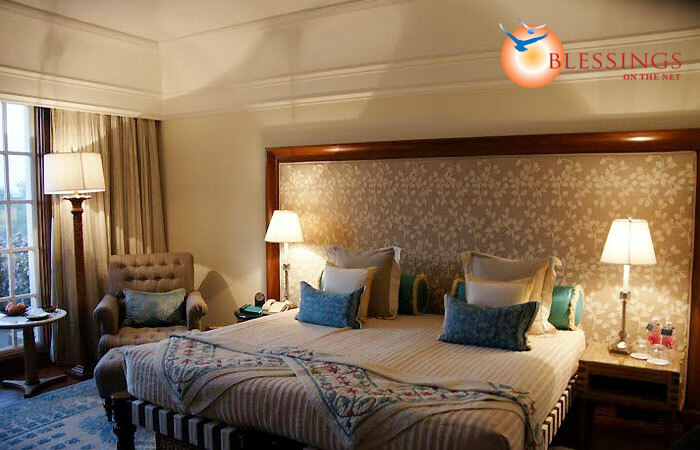 The hotel consists of 105 luxurious rooms, categorized into Premier Room, Deluxe Suite, Luxury Suite, and Kohinoor Suite. All of its rooms are equipped with brilliant amenities and services. Bellevue: A multi-cuisine restaurant, serving International and Indian cuisine. Esphahan: A restaurant that serves traditional Indian cuisine in a lavish style. Bar: A well-stocked bar offering the finest selection of wines, spirits and cigars. Lounge: A lounge & bar to relax over scrumptious snacks and exotic beverages. Accommodation in a Premier Room for two persons. Complimentary transfers between local city airport or railway station and hotel. Unique experiences at select hotels (please see below table for details). 25% saving on spa therapies. Stay for 12 nights or more and upgrade to a suite at any one hotel, subject to availability at the time of arrival. Participate in daily Yoga sessions. The offer is valid from 5th April to 30th September, 2013. Traditional welcome, complete with aarti, tikka and garland. Upgrade to a Premier Room with Balcony for uninterrupted views of the Taj Mahal, subject to availability. A glass of champagne on arrival, served in the privacy of the room balcony. A Rose petal bath surrounded with decorative candles. A special cake or a platter of assorted chocolates in the room. A beautiful floral arrangement in the room. A romantic candle lit table set up in the room.